A fire pit can add an entirely new, cozy aspect to your outdoor living and entertaining space. 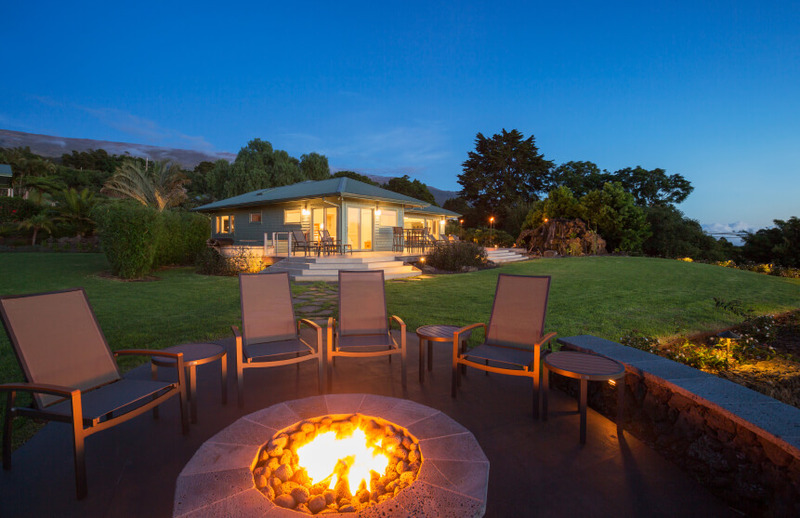 Aside from the obvious benefit of extending the enjoyment of your outdoor living area beyond the warm months, a fire pit provides numerous other benefits. At first, you might be contemplating adding a feature to your landscape or patio that will enhance the area at night. However, you will quickly discover that an attractive stone creation can become an impressive architectural focal point in your daytime exterior design. Depending on the specific style and material choices you make, it can add height, depth, texture, and artistic beauty to your landscape. You might as well go ahead and arrange some chairs around your fire pit. In the absence of an alluring fire, your guests will probably gather around the pool, the bar, or the outdoor kitchen island to mingle and converse. It only takes a moment for the warmth and mesmerizing beauty of a flickering flame to lure your guests in that direction. 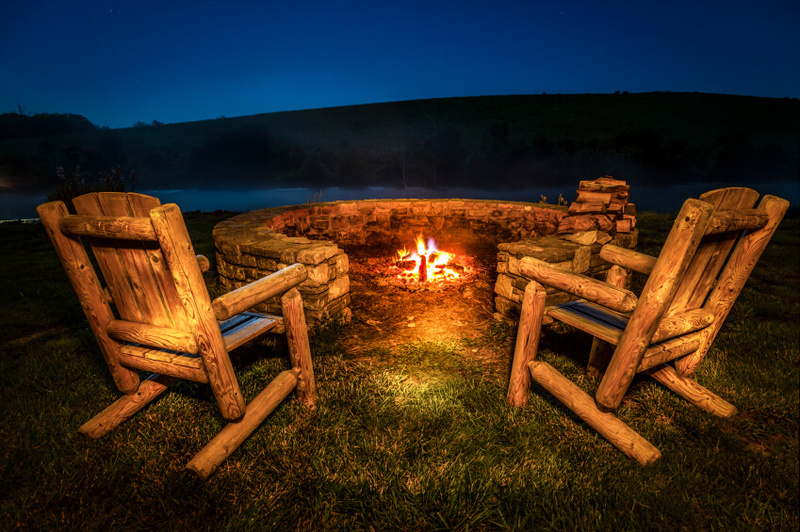 The entire family can enjoy activities such as roasting marshmallows, telling stories, and having a sing-along while gathered around a mesmerizing fire. Invite some of your kid’s friends over to share in the fun and your backyard may well become the most popular place to hang out. A flickering flame against the night sky sets the mood for a romantic evening. The two of you can enjoy some memory-making moments watching the sunset, star gazing, or simply holding hands while letting the ambiance transport you to a tranquil state where stress is non-existent and romance reigns supreme. Take a moment to imagine stepping out your back door and being greeted by the tranquil aura emitted from the flickering focal point of your patio. Don’t you deserve to have your very own personal place of tranquility to retreat to in the evening? For as long as you will allow yourself to linger in such a serene space, your mind and body can relax. 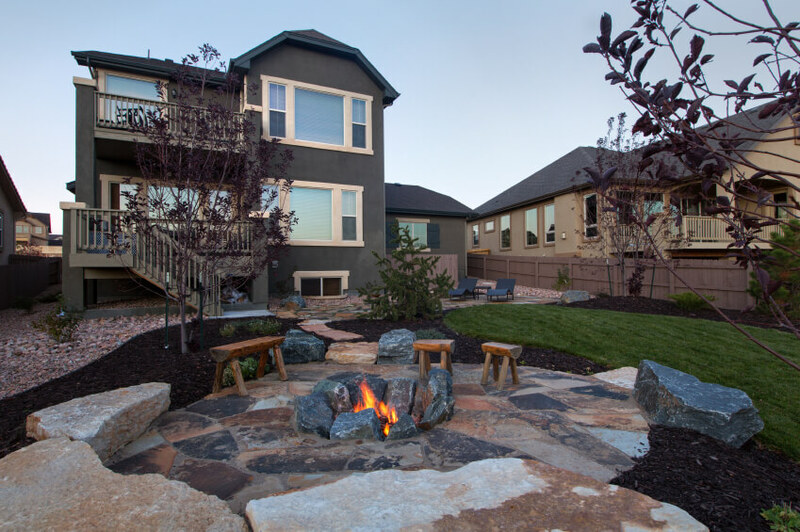 When you’re considering adding a fire pit to your patio, it’s important that you keep its size in balance with the size of the patio and its design complementary to your patio decor. You want to assure that your patio doesn’t look congested and that there is sufficient space for people to walk around. If your patio space is small, you might want to consider using folding chairs or built-in seating to free up some space.